As far as home energy efficiency is concerned, your windows are the weakest link. 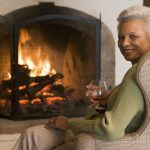 In fact, your windows could be letting in so much heat in the Summer, and letting out so much heat in the Winter that your utility bills could be 30 percent higher than they should be. So, if you want to shrink your bills and be kinder to the environment, it makes sense to start with the windows. However, energy efficient replacement windows are extremely expensive. 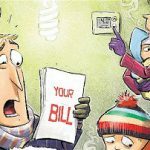 When confronted with this pricetag, many would rather take their chances with excessive heating and cooling. Fortunately, with the advancement of window film technology, there’s an energy-efficient and cost-effective answer. Low-emissivity window film products can make your home’s interior more comfortable and save you loads of money on utilities without costing you a fortune up front. Window glass is thermally emissive by nature. Essentially, this means the average window will allow heat to easily pass through via radiation. Low-emissivity window film improves thermal efficiency by reflecting radiant infrared energy, keeping warmth from passing through the glass but still letting the light shine in. Reduces interior heat loss during the colder seasons. 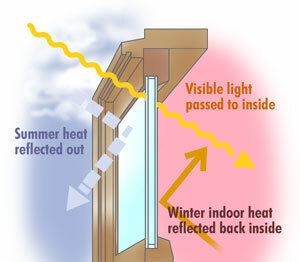 An untreated window will reflect very little interior heat back into your home. But, with low-e window film, you can keep your home toasty warm without taxing your heating system. Eliminates hot spots. 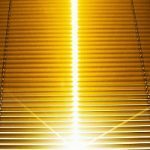 If you have southern- or western-facing windows that get blasted by the sun in the afternoon, low-E window film can keep areas near those windows from becoming uncomfortably warm and help you cut back on A/C use. Solar Gard’s Ecolux Low-E window film combines low-emissivity with unique solar control properties that can save users up to 30% on their energy costs. With added UV protection, low-E films have even more of an advantage over replacement windows. By blocking up to 99 percent of UVA and UVB rays, both Silver AG and Ecolux films will protect your floors, curtains, and furniture from being bleached by the sun, and shield your family from the causes of skin cancer. While preserving ambient daylight, reflective window films reduce the glare that can obstruct the view of your TV and computer screens. Solar Gard’s low-E films have a much smaller carbon footprint than that of replacement windows. Cost, for many people, is by far the biggest advantage of low-emissivity window films. Replacement windows can cost more than $1000 each, but Solar Gard’s Silver AG 50 film delivers the same insulation performance for up to 80 percent less. When planning updates like these, it’s important to consider the potential return on your investment. Whether or not replacement windows will eventually pay for themselves depends on their costs, the improvement they make on your energy demands, and their service life. Most windows are guaranteed for around 15-20 years, but if it takes longer than that for your energy savings to surpass the high cost of the windows, you may never get back in the black. There are, of course, situations where it makes perfect sense to install new windows. For example, if your existing windows have severe structural problems, applying window film can only do so much. If your windows are structurally-sound but failing efficiency wise, adding window film is a greener and much more economical choice than replacing them. Contact Pacific Window Tinting about you options in low-E films today.